More Sunday funnies and still not funny. So today is Earth Day. 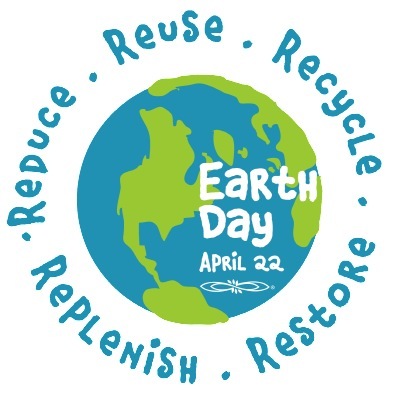 The 40th Earth Day. There’s a large segment of our society – much larger than there used to be, or at least much louder – who find cause for scorn and ridicule in this. Forty years ago the United States was a dirty and polluted place. Garbage was visible in all rivers and lakes and parks and on city streets. People thought nothing of tossing food wrappers and empty cigarette cartons out the windows of moving cars. A few lakes were actually on fire. Fish kills were regular events and we all saw them. In the 60’s my father and a friend were forced into the Hudson River in NYC to clear a propeller of debris or their small boat would have been stranded in a busy shipping lane with very likely fatal consequences. Drifting was not an option. Before entering the river, they coated their bodies – especially ‘orifices’ – with motor oil. And once they had the motor restarted, they headed directly to the 79th Street pier, where they hailed a cab and went to the nearest hospital. The river was that bad. And it terrified them. Both men remembered with sadness their own boyhoods in the 19-teens and twenties, when the Hudson River was their local ‘swimming hole’. The air was filthy and dangerous. Los Angeles would go months without seeing a clear sky. The air in NYC was full of visible particulate matter and every factory in the country just dumped their waste product into smokestacks and rivers. The legislation we began to enact back then gave us the much cleaner and healthier air and water we have today. We should be encouraged that people can indeed be a force. Earth Day mattered. It still matters. Today we have a paralyzed legislature which doesn’t move as quickly as their predecessors did, when it moves at all. So perhaps before we return to nation-wide activism for new ecological action, we should address the matter of our Congress and our enabling media. The question is as it always was – how?